Thomson was the son of Sir J. J. Thomson (then Professor of Physics at Cambridge University), a Nobel Prize winner who, more than anyone else, was responsible for the discovery of the electron, and Rose Elisabeth Paget, daughter of the late Sir George Paget, Regius Professor of Medicine at Cambridge. George Thomson went to school in Cambridge, and then up to the University. 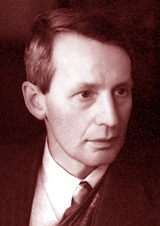 As an undergraduate at Trinity College he took mathematics followed by physics, and had done a year's research under his father when the 1914-1918 war broke out. He joined the Queen's Regiment of Infantry as a Subaltern and served for a short time in France, but returned to work on the stability of aeroplanes and other aerodynamical problems at Farnborough, and continued to work on this kind of problem at various establishments throughout the war, apart from eight months in the United States attached to the British War Mission. After the war he spent three years as Fellow and Lecturer at Corpus Christi College, Cambridge, and continued his research on physics. He was then appointed Professor of Natural Philosophy at the University of Aberdeen, a post he held for eight years. At Aberdeen he carried out experiments on the behaviour of electrons going through very thin films of metals, which showed that electrons behave as waves in spite of being particles. For this work he later shared the Nobel Prize in Physics with C. J. Davisson of the Bell Telephone Laboratories, who had arrived at the same conclusions by a different kind of experiment. In 1930 he was appointed Professor at Imperial College in the University of London, where he became interested in nuclear physics. When the fission of uranium by neutrons was discovered at the beginning of 1939 he was struck by its military and other possibilities, and persuaded the British Air Ministry to procure a ton of uranium oxide for experiments. These experiments were incomplete at the outbreak of war, when Thomson went back to the Royal Aircraft Establishment to work on a series of war problems, including magnetic mines. A year later he was made Chairman of the British Committee set up to investigate the possibilities of atomic bombs. This committee reported in 1941 that a bomb was possible, and Thomson was authorized to give this report to the American scientists Vannevar Bush and James Conant. He spent the next year as Scientific Liaison Officer at Ottawa, and for part of this time was in close touch with the American atomic bomb effort. On returning to England he was appointed Vice-Chairman of the Radio Board and later became Scientific Adviser to the Air Ministry. After the war he returned to work at Imperial College, and he was knighted in 1943. In 1952 Thomson became Master of Corpus Christi College, Cambridge, from which he retired in 1962. Sir George Thomson was a Fellow of the Royal Society, and received the Royal Medal and the Hughes Medal of that Society. He was a Doctor of Science at Cambridge, Hon. DSc (Lisbon), Hon. LLD (Aberdeen), Hon. ScD (Dublin), Sheffield, University of Wales and Reading. He wrote a book on aerodynamics and other scientific works. His published works also include a popular book on The Atom and The Foreseeable Future, published in 1955, and The Inspiration of Science, published in 1962. He was a Foreign Member of the American Academy of Arts and Sciences and of the Lisbon Academy, and a Corresponding Member of the Austrian Academy. The information on this page is based on content at Nobelprize.org © The Nobel Foundation.